A popular choice for birders and crafters alike, Birdhouse produces large, hourglass-shaped gourds of pale green-perfect for turning into rustic, handmade birdhouses. Gourds typically grow to 12-24 in. long and 8-12 in. in diameter. Harvest in the fall, before a killing frost, when the exterior shell hardens and turns glossy. 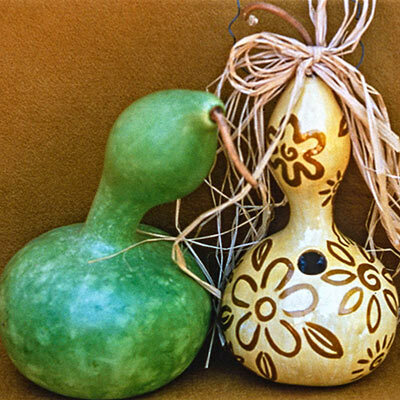 Creating a unique birdhouse from these gourds is easy. Simply allow the gourd to dry out completely, cut a hole large enough for birds to enter, remove seeds, and apply a varnish or wax to the exterior. Start seeds indoors or direct sow them into the garden after the danger of frost has passed. For best results, plant in hills 5-8 ft. apart. 95 DAYS.